Windy City Mechanical, Inc. is proud to serve the Lincoln Park community! About Lincoln Park, IL - Happy to be your hometown Heating & Air Conditioning Contractor! Lincoln Park is a designated community found in Chicago’s North Side. 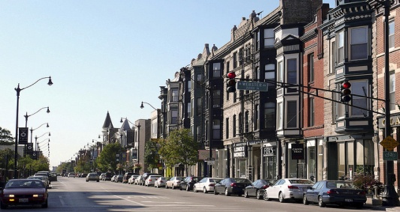 The neighborhood is bordered by several other popular communities, including West Town, Logan Square, and Lakeview. Lincoln Park’s boundaries include Lake Michigan and the Chicago Loop to the east and west, while Diversey Parkway and North Avenue border the neighborhood to the north and south. This community area encompasses several other smaller neighborhoods, including Mid-North, Lincoln Central, Sheffield, and Old Town Triangle. In terms of education, Lincoln Park is home to Francis W. Park School, Lincoln Park High School, and DePaul University. Lincoln Park is home to a variety of unique attractions. The Chicago History Museum is found here and features a variety of prominent exhibits including “Chicago: Crossroads of America.” The Lincoln Park Zoo is a great destination for families with young children, while nature enthusiasts may prefer a trip to the Lincoln Park Conservatory or the Peggy Notebaert Nature Museum. Lincoln Park has a variety of great music venues, including Kingston Mines, Lincoln Hall, and Park West. There are also several architecturally significant churches in the community, including St. Clement Church, St. Vincent de Paul Parish, and St. Josaphat’s. Homeowners in Lincoln Park need to seriously consider their climate control systems, as the community will experience variable weather conditions throughout the year. To be prepared, residents should invest in a reliable and energy-efficient furnace system. Not only will these units keep indoor temperatures warm when winter temperatures plummet into the 20s and 30s, but they’ll also help residents to keep their energy bills affordable. While spring and autumn months may provide some respite from extreme weather, summers are hot and humid. While average temperatures of mid-70s may sound comfortable, the city is prone to high humidity. Additionally, summer heat waves are also common and can raise temperatures to well over 90 degrees. Air conditioning units are pivotal in making these extreme weather conditions seem more bearable.